Anybody Diving on Sunday (1/28)? Re: Anybody Diving on Sunday (1/28)? I came up and we got in one dive at Les Davis. Vis wasn't so hot (6-10' maybe), but it was warm and dry topside. Didn't see anything super unusual, but Eddie A had a close run-in with an attack clam. Good time regardless. were you guys able to go diving? StrangeDoc wrote: So unfortunately I am having something come up and won't be able to do this dive on Sunday, I do apologize. Maybe if you are available next weekend I should be able to do something then. That’s a bummer...next weekend is no good for me, but I’m sure we can put a Dive together sometime soon. So unfortunately I am having something come up and won't be able to do this dive on Sunday, I do apologize. Maybe if you are available next weekend I should be able to do something then. Well, it looks like it’ll be Les Davis on Sunday meet at 08:30 and hopefully be able to get in 2 dives. StrangDoc and Scuba Swanie, keep us updated. Jondiver we’ll see you when you get there. Sunnyside is alright, although you can see most of the site in about an 1/2hr, going down the pipeline, then over to the boats doesn't take very long at all. The boats though there is supposedly a GPO under one of the boats (its been a while since I have been there). Parking also costs $5 cash, there is a bit of a hill to walk down to the water, it isn't too difficult as it is fully paved though. I am not against going there (I haven't been in a while). Les Davis is I think is a lot better for two dives as there is a lot to see and going down twice isn't as big of a deal. I might only be good for one dive though have to see a little closer. I'm not committing to be there until I find out my schedule for Rescue Diver. But if it works out, Ill be there for both dives. Blowin' Bubbles and Havin' Fun! There is a lot more to see at Les Davis and due to crappy weather scheduled for Saturday there shouldn't be an abundance of divers there. Too many divers can stir up a lot of silt and make vis really bad. Titlow is a nice dive as well and there is a easy 4' exchange saturday morning. But for beginning divers Les Davis is the best choice. I've not done either of these myself, but definitely open to seeing something new, so either works for me! I may just come up for the second dive and make a day of it with my girlfriend in Seattle, but if I'm feeling ambitious I can be there by 8:30. I'll keep checking this thread for updates. So weigh in here and we’ll hit the site with the most votes. I'm game for Sunday provided it isn't incredibly far north or before 8:00 (I'd be coming from Portland). 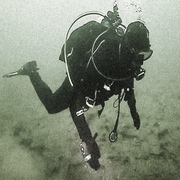 I'm also a newer diver, still in a wetsuit for the time being. Been diving very casually for about 3 years but only recently getting excited about diving in the PNW. I'll keep checking this thread; let me know what you guys end up doing and I'd love to tag along if possible. 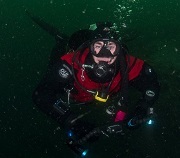 Don't forget there is the Sunnyside dive site which is a really great site. Hey Kirsten thanks! I’m down to dive with anybody and everybody! I’ll let you know when we have a plan put together and we’ll see if we can put a group together to dive some place....the more the merrier! Scuba Swanie wrote: Eddie- Any weekend you can to dive, PM me and you can ALWAYS dive with me. I try to get two dives midweek and at least two dives every weekend.Even if I have a dive buddy we can add another. I'm diving saturday morning early (rescue diver pool sessions in PM) and probably sunday, although I'm diving with a new drysuit diver on Sunday so it may be a limited dive. Hey Steve, thanks for the standing offer to dive any weekend as I imagine most of my diving will be done on the weekends. As for the 28th, where are you planning to dive on Sunday? I don’t mind a a limited dive for the other buddy to get acquainted with heir dry suit. Maybe if Strangedoc is up for it we can have a couple of buddy pairs in on this one? Not sure for the 28th just yet. I will let you know when we get closer. Hopefully, he will have his drysuit down by then.We are diving this sunday (21st) but not sure the location. Likely someplace in the south sound. I will post something in the Dive Planning forum when I have more details. I uysually post something by Friday of the dives I am doing over the weekend so anyone who wants to join in the fun, can. StrangeDoc wrote: Hello Eddie, I would be happy to take you diving. I am not sure plans that far in advanced for that weekend but could probably swing something low key like Les davis, redondo, or somewhere on the hood canal, I will have to get back to you when it comes closer. 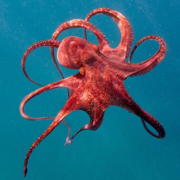 Also are you able to make any of the Thursday dives at Redondo? Thanks, I’ll follow up with you when we get closer and see what we can put together. Eddie- Any weekend you can to dive, PM me and you can ALWAYS dive with me. I try to get two dives midweek and at least two dives every weekend.Even if I have a dive buddy we can add another. I'm diving saturday morning early (rescue diver pool sessions in PM) and probably sunday, although I'm diving with a new drysuit diver on Sunday so it may be a limited dive. Hello Eddie, I would be happy to take you diving. I am not sure plans that far in advanced for that weekend but could probably swing something low key like Les davis, redondo, or somewhere on the hood canal, I will have to get back to you when it comes closer. Also are you able to make any of the Thursday dives at Redondo? Is anybody planning any dives for Sunday, January 28th? I live in Olympia and don't mind driving to a good dive site. Last edited by Eddie A. on Sun Jan 14, 2018 10:17 pm, edited 2 times in total.